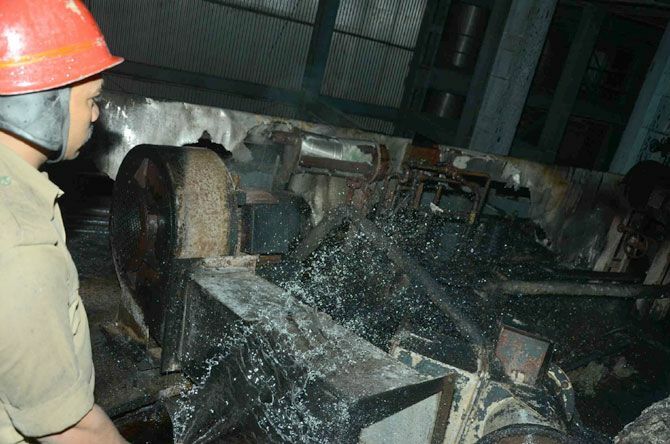 Ongole, December 19: Fire accident at the milk powder manufacturing unit in Ongole dairy late on Thursday night. The blast resulted in a huge fire and caused Rs. 2 crore loss to the milk powder processing unit. Fire service personnel put out the flames taking more than three hours. There were more than 100 workers at the unit at the time of the incident. The dairy sources said that fire caused by a radiator explosion resulted heavy loss to the unit.